The C.M. Russell High boys’ basketball team is on a roll. The No. 2 Rustlers won their 12th straight Saturday with a nonconference win over Havre that wasn’t even close. CMR had three players in double figures and received 11 assists from Andre Langhorne, but head coach John Cislo wasn’t particularly pleased with some of the defensive efforts, particularly in the second half. Part of that was due to the return of Havre freshman sensation Dane Warp, who spent most of the first half on the bench in foul trouble. Warp scored a dozen points in the second half, but they all came well after the outcome was decided. “We really weren’t playing as a team in the first place and that kind of led to some of those fouls,” Havre coach Curt Leeds said. “It was everybody on the team. Havre is very young and the Blue Ponies also started freshman Nate Rismon, who finished with 12 points. Kade Rismon is a junior and led Havre with 18, so the Blue Ponies seem to be set up to be solid in the future. The future is now for CMR, which doesn’t have a freshman or sophomore on its varsity roster. Cislo knows defense is the key to this team achieving its goals. The Rustlers have two huge road weekends in the next three weeks at the three Billings schools and Bozeman. 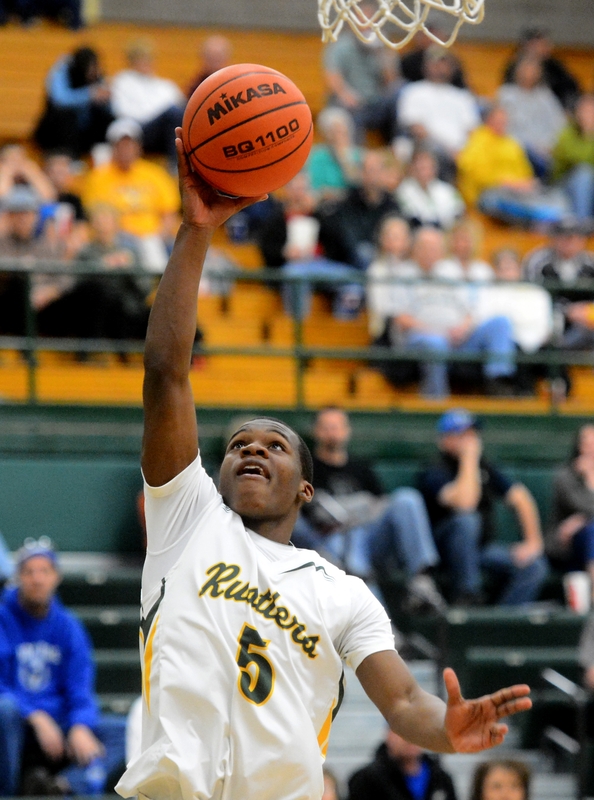 Saturday’s game was actually the final time the Rustlers will play at the CMR Fieldhouse. When the Rustlers return home, they will play at Paris Gibson due to CMR playing host to a Class A divisional tournament. Of note: CMR guard Anthony Bonilla was in a shirt and tie with an undisclosed injury. Cislo said Bonilla would be reevaluated this week and the Rustlers hope to have him active next weekend. The CMR girls needed overtime to beat Havre on the road. The two teams also went into overtime when the Rustlers prevailed at CMR Fieldhouse in December. The GFH girls suffered their third overall loss and first conference loss as the Bison lost at Butte. Natalee Faupel scored 22 for Butte. The Bison boys topped Butte as Dylan Tatarka scored 18 and LaRance Racine added 16.